Last year I did a deep exploration of the Victorious RPG. 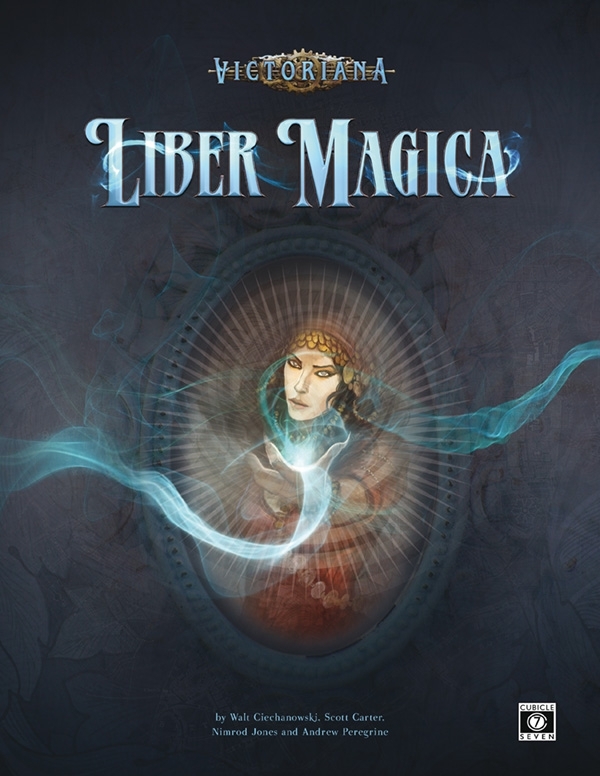 It is a really, really fun supers game set in the Victorian era. I could have done a Plays Well With Others with this. There is a lot in both games that the other can use. Mighty Protectors and Villains & Vigilantes both have an absolute ton of Powers that Victorious players can adapt. 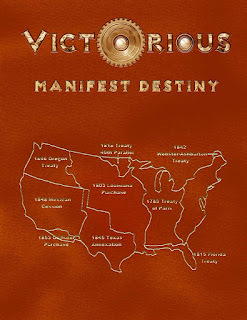 Victorious has skills and a ton of information on supers in the Victorian era. Both have great advice on playing supers and are generally "Supers as the good guys" games. Not dark anti-heroes or modern-age supers. One of the features of the Victorious game is that many of the supers in Victorian age are from the 21st Century, having traveled back in time. Sounds just like our superhero Maxima from Villains & Vigilantes and Mighty Protectors. Maxima is one of the more popular of Jeff Dee's and Jack Herman's characters. Afterall she is a seven-foot tall blonde amazon powerhouse. She will be appearing in a future Mighty Protectors product where more of her history and future will be detailed. 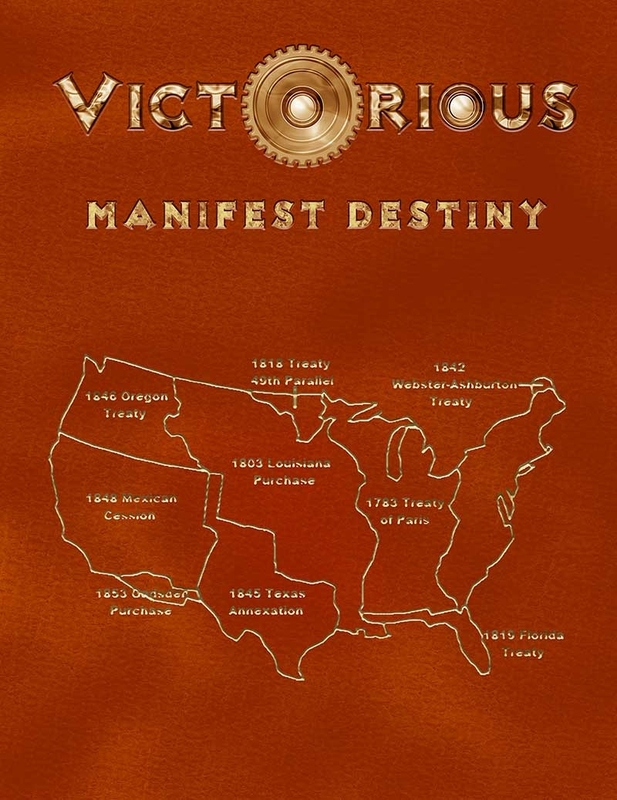 In Victorious let's say that Maxima went back in time, but instead of New Mexico in 1986 she ends up in London in 1886. Maxima belongs to Jeff Dee, Jack Herman, and Monkey House Games. I am just playing with her for a bit. Shortcomings: Enemy 2 (various villains), Obligation, Odd Appearance (7' 6" blond powerhouse woman) 2, Watched (British Home Office). Maxima is very much out-of-time here. She remembers enough of her mission and her life before to know she is in the past. She has also found other, similar heroes to help her. She would be a great character to play in Victorious. HEY! A time travel epic where the heroes of Mighty Protectors meet up the heroes of Victorious! Two projects that strike at the sweet spots in my heart. Witches and Victorian Fantasy! First up is one I should have told you all about weeks ago. 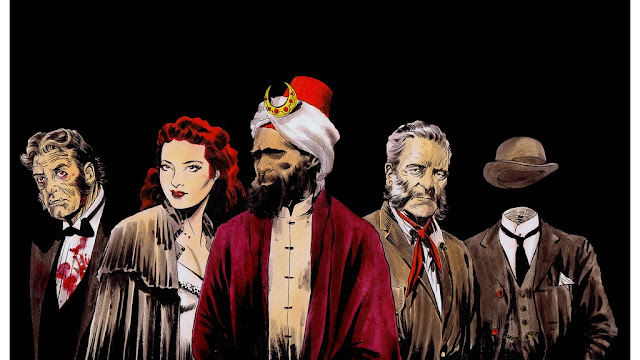 Savage Worlds is not my jam, but it is a really good fit for the Gaslight World. If I were to play Savage Worlds again it would be in the Gaslight World. Next up is a board game about witches, so you know I am in! I have to admit it looks ridiculously fun. 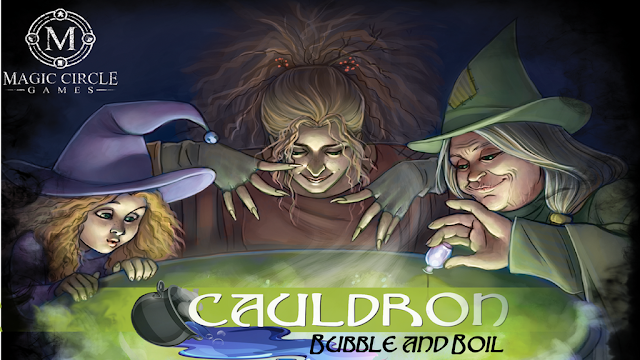 Check out the game play videos and reviews on the KS page. I hope to have more about both projects in future posts. I have a couple of really fun ones for you today! First up is a Superhero team of cousins called Team Synergy. HBComics, a boston based indie comic publisher, has launched a kickstarter campagin for “Team Synergy,” a comic about a super-team of teenage girls, aimed at getting young female readers interested in super heroes. According to the creators, the book was very much inspired by their own daughters and nieces. 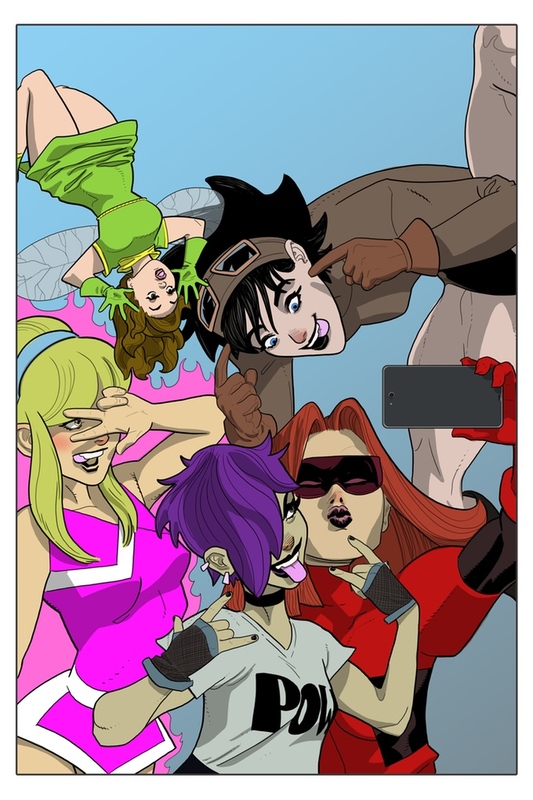 The description of the comic on the kickstarter reads: "Five Teenage Girls. All cousins. All super-powered. Trained by their great grandmother, the original super heroine, to be the next generation of heroes. 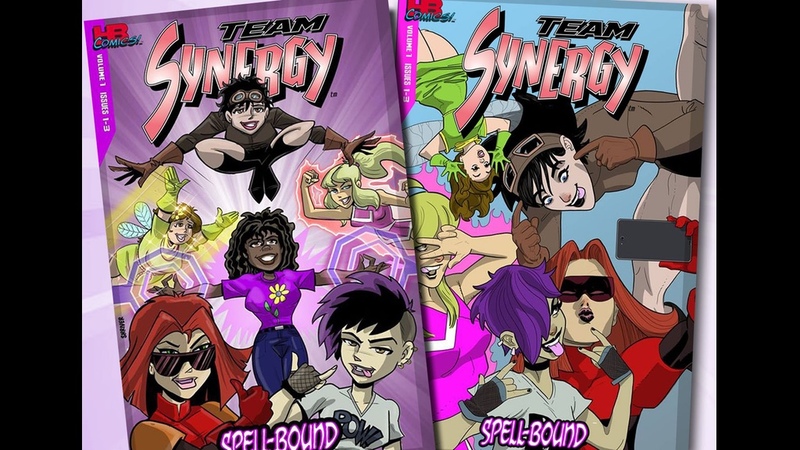 For every young girl who never had a super hero of their own to look up to, this is TEAM SYNERGY!” The book is written by Alan Hebert (Writer of Lazerman) and has art by Scott Shiver (Fem Force) and colors by Chris Hebert. The heroes include team leader Awesome Girl, cheerleader turned superhero Hot Pink, introvert and skeptic punk (and destined to be a new fave here at the Other Side) Scatterbrain, shrinker and anime fan GlitterBug, and finally the hyper social butterfly Pinball. Love these names. I could see these characters EASY in an Icons game. Personally, I think it looks awesome and I love finding Kickstarters like this. For me this why Kickstarter was created; to help out independent creators get their creation out to you. Switching from comic fun to the dark streets of Victorian London. Dark Tales of Vampires, Witches, & Demons on the Streets of Victorian London! As I mentioned to the author, Paul Voodindi, "Vampires, Witches, Demons, London of the Victorian age? Sounds like my Christmas list!" 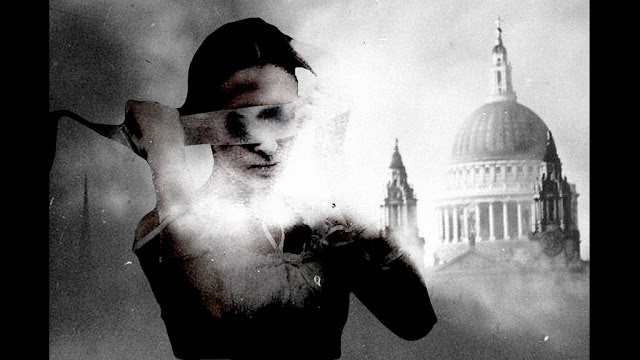 Paul Voodini welcomes you to the dark and Gothic London of an alternative 1888. A dark and Gothic London where the shadow of Jack the Ripper still hangs over the streets of the East End like a malignant memory, fresh in the mind and with the power still to terrify. It is barely a month since Saucy Jack claimed the life of Mary Jane Kelly, yet, as our heroine Little Nell Trent is about to find out, there are more horrors than just old Jack lurking in the grim backstreets of Whitechapel. Attacked on her own doorstep by a vampire girl, 18 year old Nell is herself transformed, joining the ranks of the East End vampires, known by the human residents as Tooth Fairies, and is plunged into a world of blood, lust, and dark wonder. 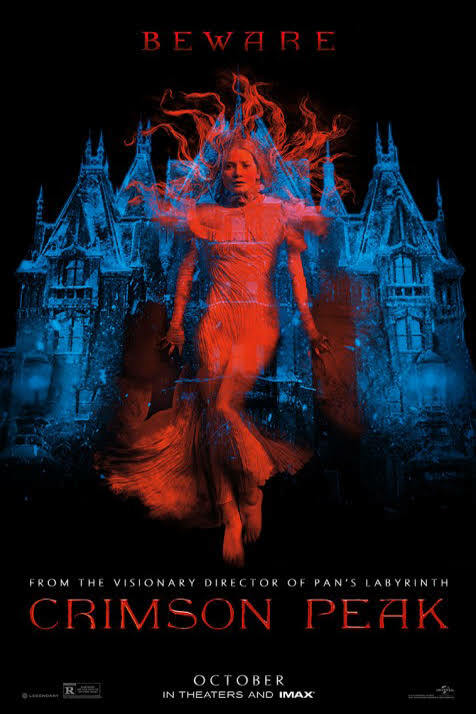 Captured by a human gang and forced into servitude, Nell befriends her one-time assailant Sally, the girl who originally turned her from mortal to vampire, and over the Christmas period of 1888, Sally protects her protégé as best she can, and every night recounts to her a Gothic tale from the dark underbelly of London. Inspired by the classic '1001 Arabian Nights', in which a wife successfully manages to stave off her execution by reciting a tale each night to her king husband, 'A London Gothic' features a series of short stories intertwined within the main narrative. And so, amongst others, we hear of Mary Shelley, who in this reality is a witch intent on raising back to life her dead friend, Amanda Frankenstein; Tiny Tim, the vampire boy, who prophecy tells will lead the vampire girls of London's East End out of the shadows and into the glittering heart of the British capital; and the poor, young funeral worker who on Christmas Eve is possessed by the unquiet spirit of Jacob Marley. See, sounds like a blast. During October I reviewed a ton of new (and old) Victorian Era games and supplements. I didn't get to everything I wanted so I going to fix that now. 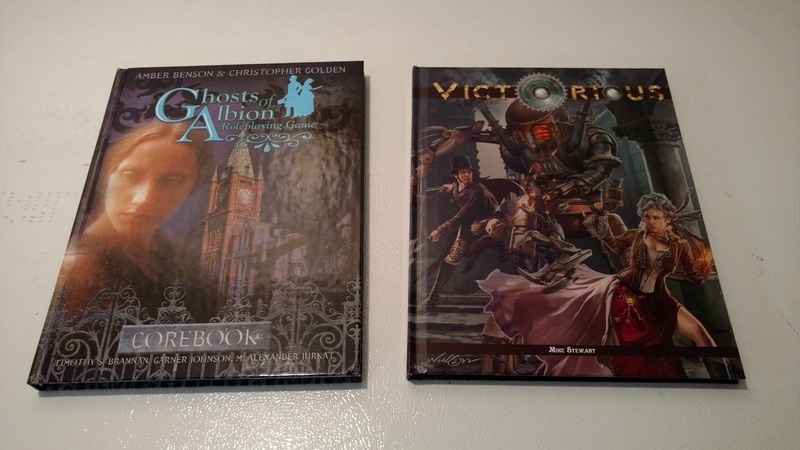 Fist up are a couple of new books for the venerable Castle Falkenstein. Full Disclosure: I received free copies of these PDFs in exchange for a review and also because the author knew I would like them. He was right. Ok, we all know I love monster books. Like all Castle Falkenstein books, new and old, this book is gorgeous. The art is fantastic. 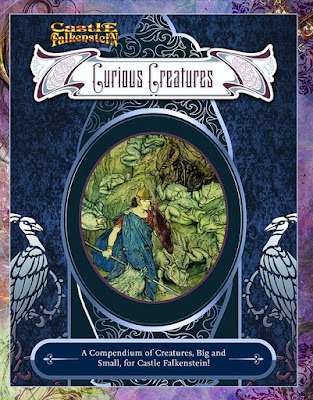 The book is a nice mix of travel guide, creature catalog, and journal. This is a fairly common feel to all CF books and it is served well here. The first 50 or so pages cover some new rules and some various stories. The central conceit of the book has notes from the very Doctor Doolittle. I have to admit this is really awesome. I wish I had thought of it, to be honest. The next 100 or so pages cover the Bestiary proper. 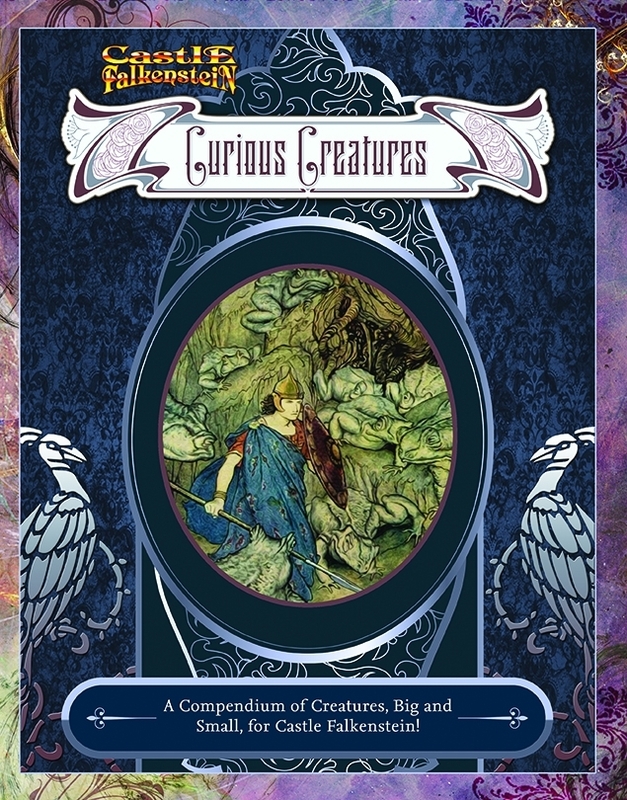 This includes about three dozen monsters, as many normal creatures and a little more than 20 or so unique characters and intelligent animals. This includes Doctor Doolittle, Gregor Mendel, Doctor Jekyll and Mister Hyde. The surprises include Mowgli, Riki-Tikki-Tavi and Fantomah. The mere fact that Fantomah is here really increases the value of this book in my mind. The writing is very fluid and is a pleasure to read. The CF stats are, well CF stats, you either like that game or you don't. The bonus here is that this also makes the book extremely flexible for use with any number of systems. 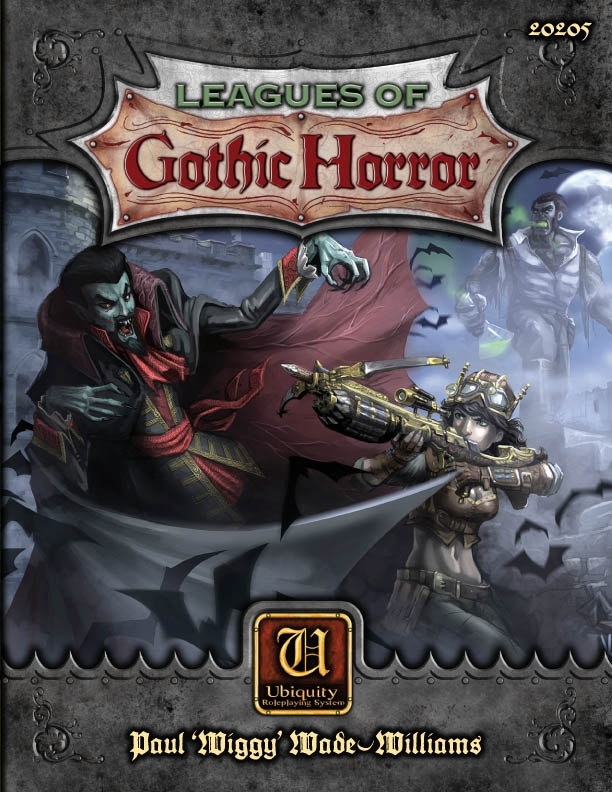 In fact, this book is a very fine supplement to be used with any number of other game's monster books. The art, is for the most part, Public Domain, but that is something I REALLY like in my Victorian books and here it flows seamlessly in with the text. I don't have the softcover book, but I am considering picking it up now. It is really that good looking and really that useful. Do you all remember the old "Enchanted World" books from Time-Life books? Well, this book reminds me of reading those. 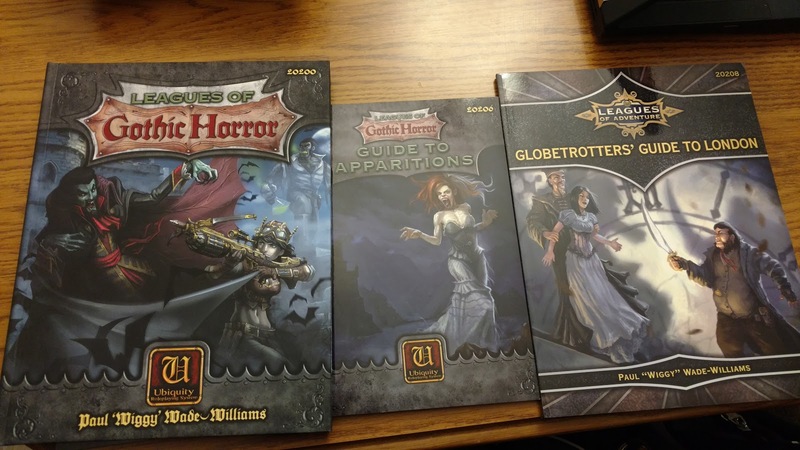 It is less like a game book and more of a coffee table book of monsters. This is a very, very fun book and I am so pleased to have it. Now this is a fun little book. It's not long, only six pages, but it packs a punch. This guide allows gamemasters of Castle Falkenstein to use a standard tarot deck instead of playing cards for the game. There are additional rules to cover the Major Arcana. If you play CF then I would easily say this is a must have. If you play other games that have a playing card mechanic then is also a useful resource. I am considering using this with Victoriana. I think it would work fantastically. Both books are so much fun. I am really pleased to have them. This is one of the big movies I wanted to see this Challenge. It had such a cool look and I was looking forward to watching it with my son. Well I have to say it did not disappoint. It is less a horror movie as it is a movie with horrific moments. Much like it's not a ghost story as it is a story with ghosts. I think that set some people off a bit. The movie was written and directed by Guillermo del Toro and you can really tell. Aside from all the Pacific Rim guest stars, there is also a Pan's Labyrinth feel to this. The actors are great really especially the three leads. Connor really enjoyed it, loved the mystery but wanted it to be more scary. 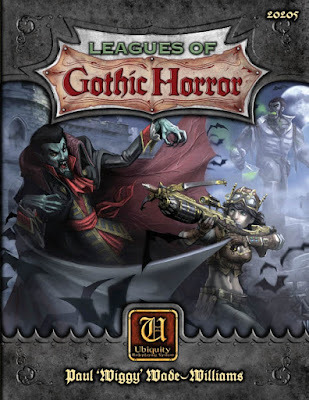 Yesterday I went on (and on) about my love for the Triple Ace Games' Ubiquity-powered Leagues of Gothic Horror. 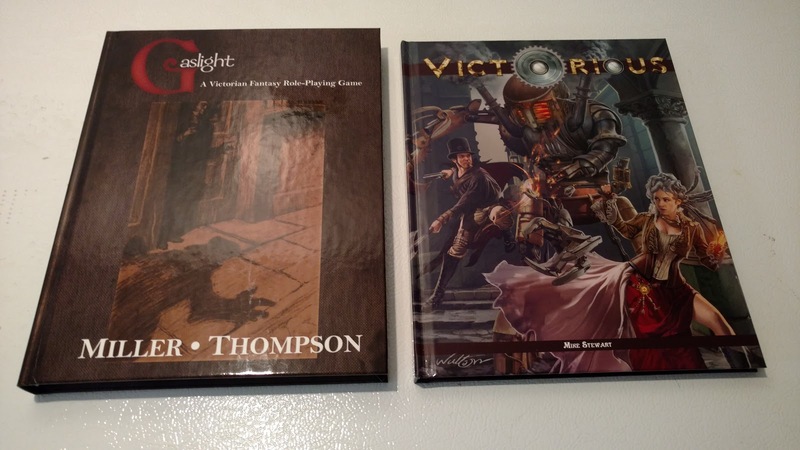 Today I want to focus on a few of the supplements from the Kickstarter. In all cases, I am reviewing the dead tree and PDF versions of the books. I purchased these via the Kickstarter they had a while back. All links are affiliate links. No review was solicited or expected outside of me emailing the author to say "hey, I am reviewing your books" a couple of days ago. A great sourcebook for the Leagues of Adventure game this covers the City (and County) of London in the 1890s. The bulk of the book is devoted to a "tour" around London pointing out places of interest. There are also sections on the police force, entertainment, and transportation. The book is largely fluff free (ie not much in the way of games stats) so it immediately has utility for a wide variety of games. 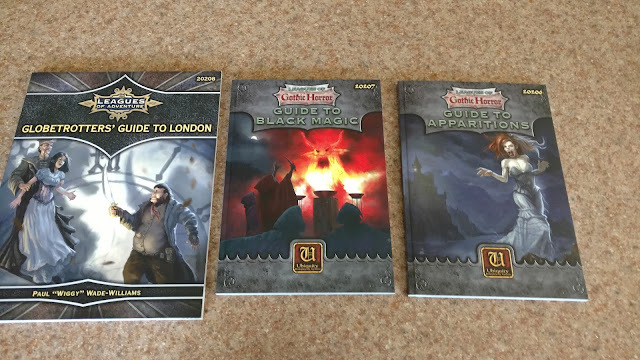 Even the adventure hooks for London are game-stats free. Most of the game-related material comes in the form of detailing various NPCs and archetypes, but there is enough flavor test to still make them usable in other games too. Set up in a similar fashion to all of TAG's "Guide to" books, this covers Black Magic and "Wickedness". This book is fairly setting specific, so it has more game stats than some of the other guides. I still found it to be a fantastic read and can't wait to try some of this out in my next Ubquity game. 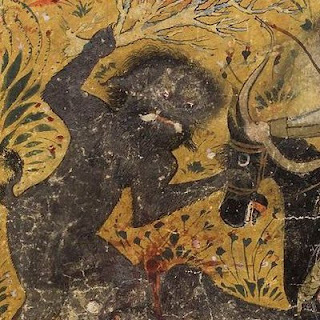 The book covers a brief history of "black magic" practices around the world. Later (Chapter 2) we move into why someone might take up this sort of power. Fiendish lairs are also discussed since in the tried and true traditions of both Gothic and Pulp fiction every bad guy needs a lair. Set up in a similar fashion to all of TAG's "Guide to" books, this covers ghosts and the damned. Again, this is fairly setting specific but a lot of the material here is drawn from myths and legends from around the world, so first of there should be something in this book that everyone recognizes. Secondly there is plenty in this book that everyone can use. 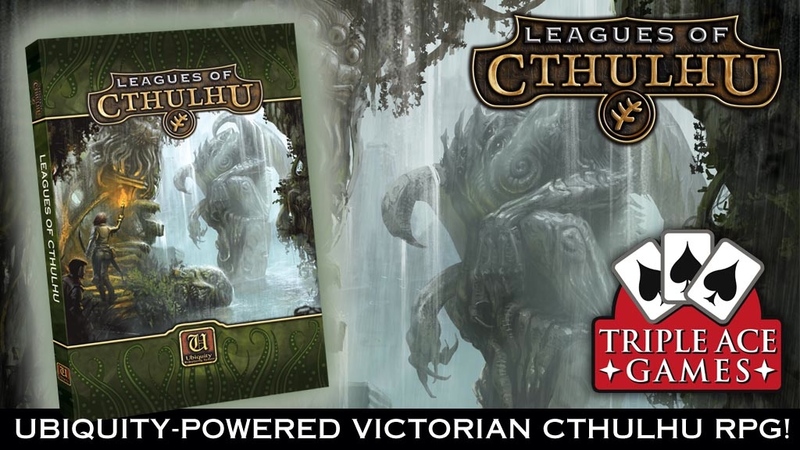 Also don't forget about TAG's newest Kickstarter, Leagues of Cthulhu. Yeah the name is awkward, but it does tell you exactly what this is about. My youngest son, who is turning into quite a Lovecraft fan, really wants this game. 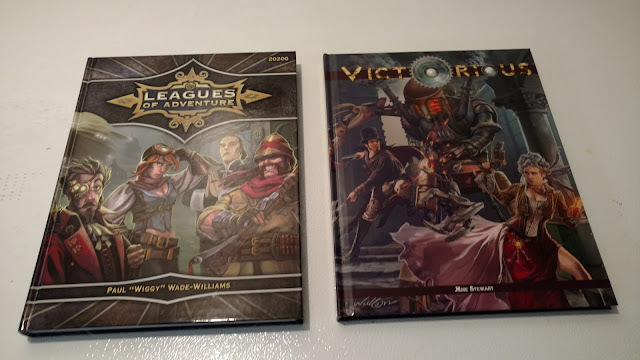 You add on any other "Leagues of..." book you like. 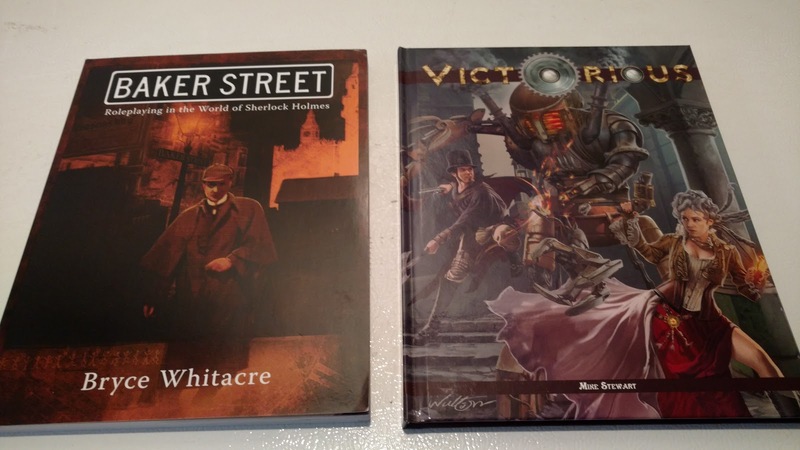 Streets of Shadow is an adventure path (to borrow a term) for Victoriana that has a lot of history. 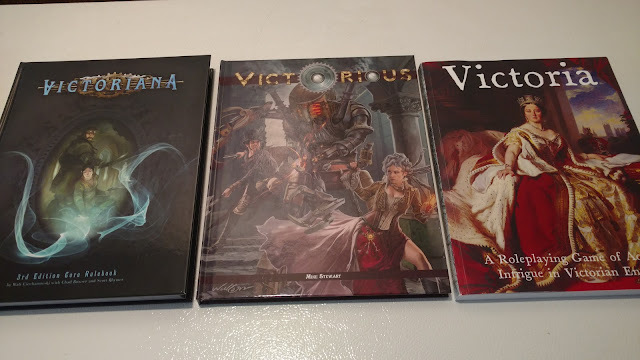 Three of the adventures, Dragon in the Smoke (Chapter 1), The Hound of Hate (Chapter 3) and Rise of the Red God (Chapter 5) have been published previously for 1st edition Victoriana. Here they have been updated and tied together in a longer story. A "shilling shocker" according to the book. This is a great example of both an adventure campaign and of a game honoring (and using) it's past. 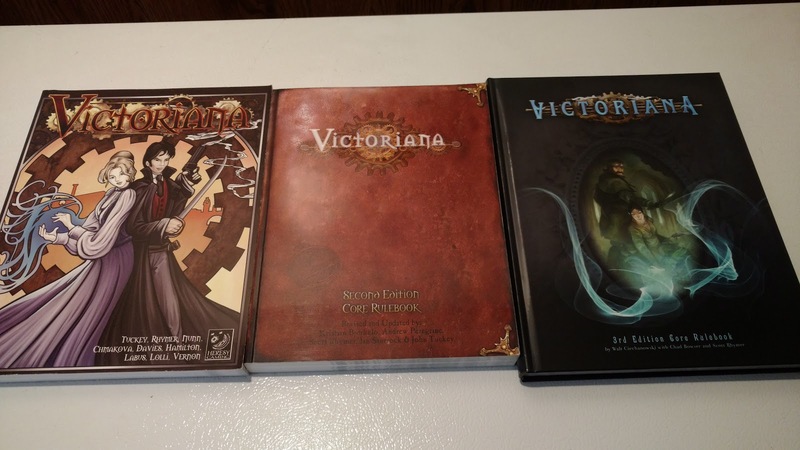 Sure these are useful for other games too, but really there is something very "Victoriana" about these. If you are planning on running any Victoriana games at all I say get these. Can't complain about this price. I fun little introductory adventure with some pre-gen PCs/NPCs. Part gazetteer of Europe of 1865, part adventure campaign. 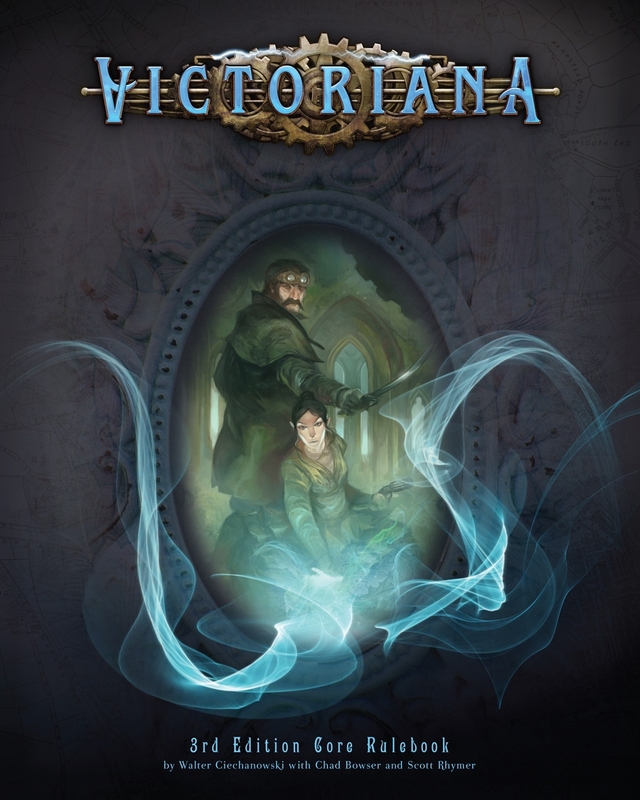 What is great about this book is that covers a number of lands that are often ignored in most Victorian-era games. There are not a lot of details, it's not Wikipedia after all, but plenty for your game. The adventure (or Penny-Dreadful in Victoriana-speak) is a continent hoping adventure in the pure adventure vein as "Around the World in 80 Days" or the last part of "Dracula". It is done in a way that only can be done in the Victorian-era. The world is still big enough that other lands can be mysterious, but small enough that travel (thanks steam!) is quicker, easier and an adventure all it's own. 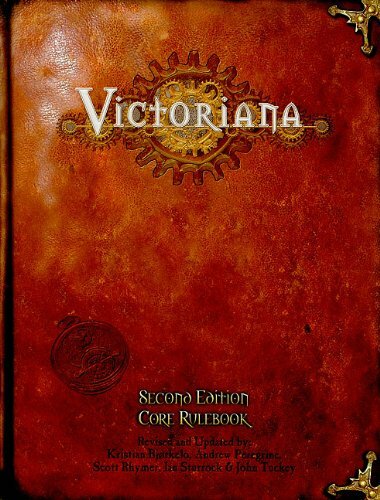 Again, this makes this book not just essential for Victoriana but also a good buy for anyone running any Victorian-era game. I don't know about all of you, but I want to do some Victorian-era gaming! Victoriana has some of the best-looking supplements I have seen for a game line. 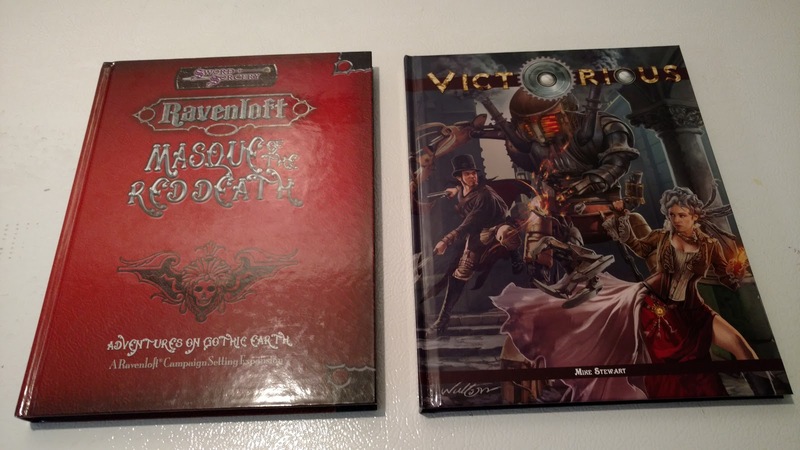 This is largely in part due to Cubicle 7 and the general feel of the game. 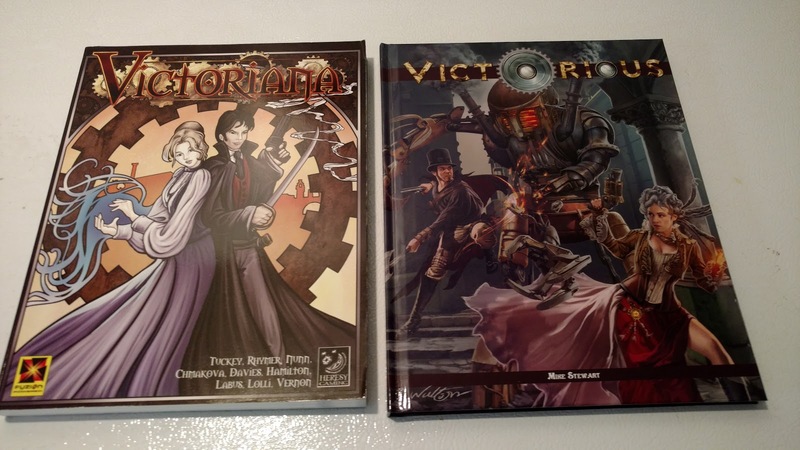 What I love about these books is the fact that I can use them with a wide variety of Victorian-era games. They are all heavy on style and light on the "Crunch" for the most part. 56 pages. An update to an earlier adventure. 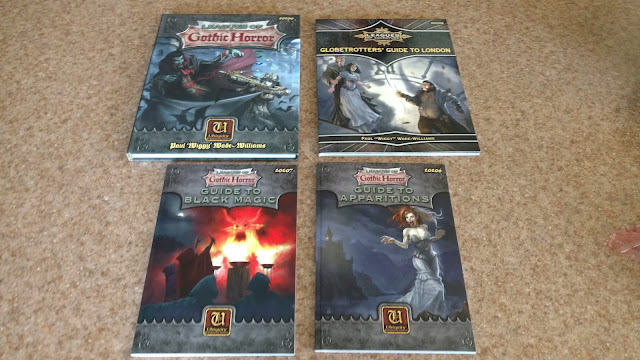 This adventure is really designed not just for starting players (5 to 6) but also starting GMs. All the materials you need to play are at your fingertips. 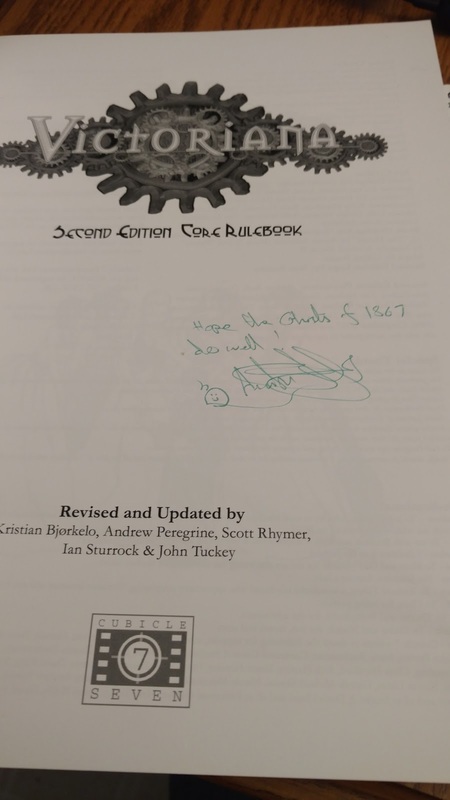 There is not enough of the rules to make it a "Quick Play" but if you bought the core rules then this should be your next purchase. The adventure deals with, appropriately enough, a mummy. It FEELS very Victorian too. Ancient curses conflicting with scientific discovery. Superstition vs Science. All within Victoriana's own hedy brew of magic-is-real and so-is-science world. It makes for a lot of fun. 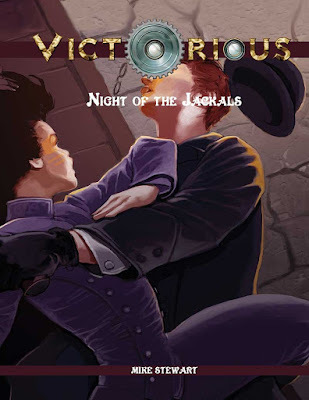 The adventure also follows the now familiar 3-act format of all Victoriana adventures. So if you have any desires to plan your own then this is a good model to follow. It is, in a very real sense the Keep on the Borderlands for Victoriana. 152 pages. 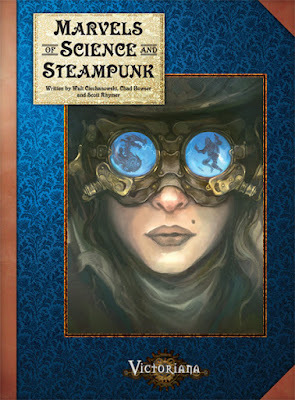 This is the book that makes Victoriana more Steam-punk, or at least more steam- and magic-tech. The biggest, and coolest, new feature of this game are new rules for Airships. Now I have to say that for me, Airships are a quintessential element for not only Steampunk games but of Victoriana in particular. You also get Victorian age computers (Babbage machines) and robots (metal men). This is the fantastic future of science that the Victorian era promised with a chapter on magic and technology. 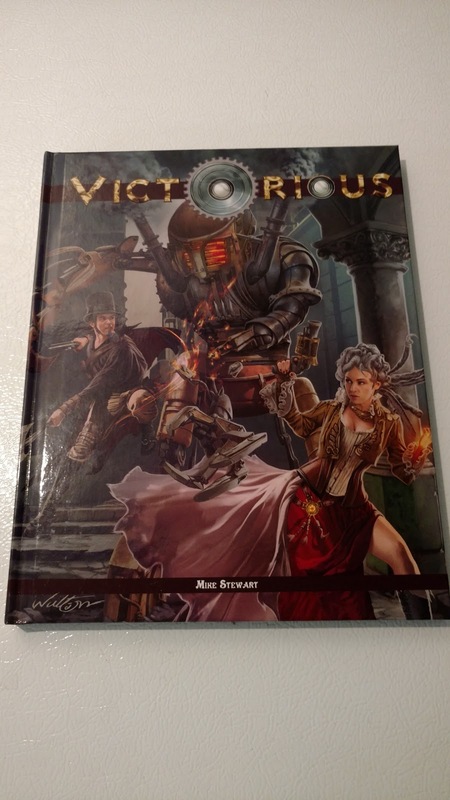 Grabbing this book really sets your Victoriana game apart from the rest of the crowd. 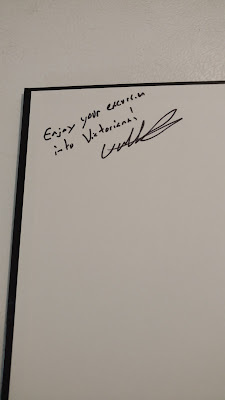 The author, Walt Ciechanowski, would later go on to author the 3rd Edition of Victoriana and shape where that version of the game went. Like books from the Victoriana line there is a great collection of inspirational reading and viewing. This is a collection of three adventures that have appeared in one form or another in various conventions; notably Gen Con. All deal with the wonderfully eccentric Havering family. I played "Lost Luggage" at one Gen Con and really enjoyed myself. I got to play "Patterson". These are adventures, so I am not going to spoil what is going on here. 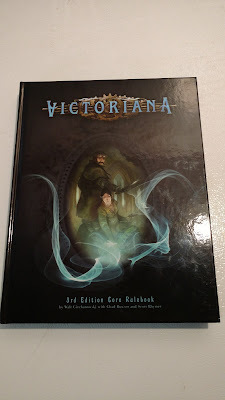 I will say that these are perfect adventures to really give someone the feel of Victoriana. They highlight what makes the system work and what makes this time and world so much fun. As players, you will be playing members of this family; ie. Pre-Gens, but it works. A good GM can also get players to create their own characters, all members of a family and use them instead. In particular I enjoyed the horse racing rules since we did something similar for Ghosts of Albion. 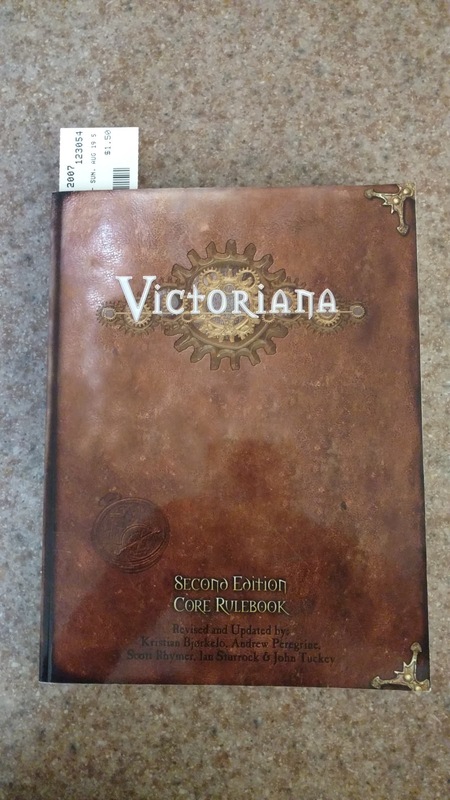 If you are looking to run Victoriana games OR need a ready to go adventure-idea for other Vicotrian games then this is where I would start. Keep in mind that various details of the "real world" have been changed to reflect the Victoriana world. 192 Pages. Every Victorian-era game needs to have a book like Faulkner's Millinery and Miscellanea. If they don't then buy this one instead. Actually buy this one if they do. At 192 pages it is full of items, clothing, gadgets, vehicles and even magical supplies for every need. The currency is British Pound and the economy is set in 1867, so if you do use it for other games you will need to adjust. There is more here than just price lists. The items may (or may not) be very familar to readers today so descriptions are given. There is a great section on the economy and one worth reading. Here in the 21st century we are used to easy access to everything. We are also (in general) wealthier than any other time before ours. This was not the case int he Victorian age, even in Victoriana's fantastical magical Victorian age. So this frame of reference helps. In addition to equipment, there are common prices of travel and their various means. Prices for various entertainments. Alos you will need to know how much to pay your household staff and where to find them in the first place. Some notable NPCs are also detailed. This really is a must have book for any fan of Victorian RPGS and Victoriana in particular. 140 pages. What a cool supplement. This details all the secret societies in the Victorana game. The societies are grouped largely by role. Are they benign watchers? Are they conspirators of a dark cult? Each group is given a role, a detailed history, and information on how they can interact with the characters and other organizations. Of course, multiple NPCs are detailed as well. An index of NPC, sorted by Rank, is also given. 140 pages. Like Vol.1, this covers all sort of societies and organizations the characters can interact with or join. This volume focuses more on the adventuring activities and thus represent a number of clubs based on real-world Victorian societies. Lots of great and colorful NPCs are included here. 16 Pages. One of the smaller Victoriana books. This book details a number of additional Beastmen and their traits. Both as a "monster" and as a Player Race. Following the guidelines in this book you could create more, but the list is pretty exhaustive. 14 Pages. 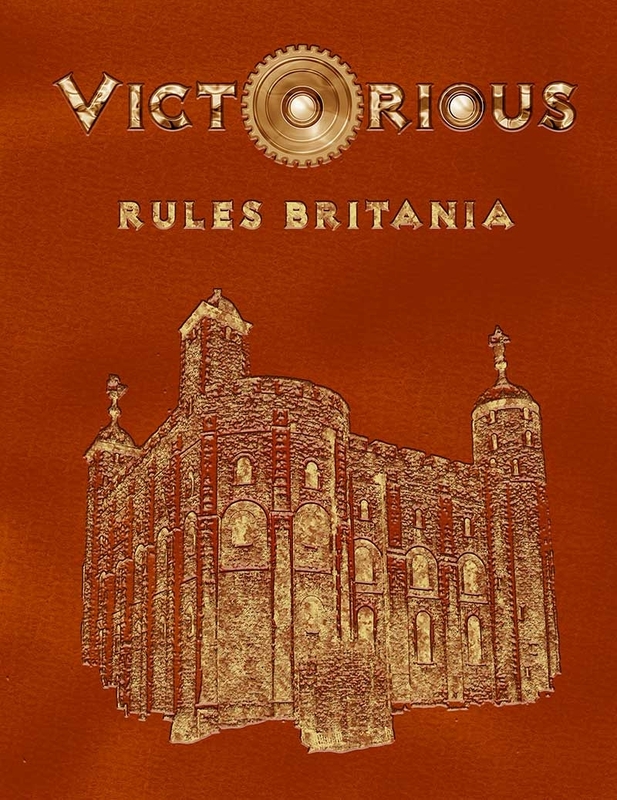 One of the smaller Victoriana books. 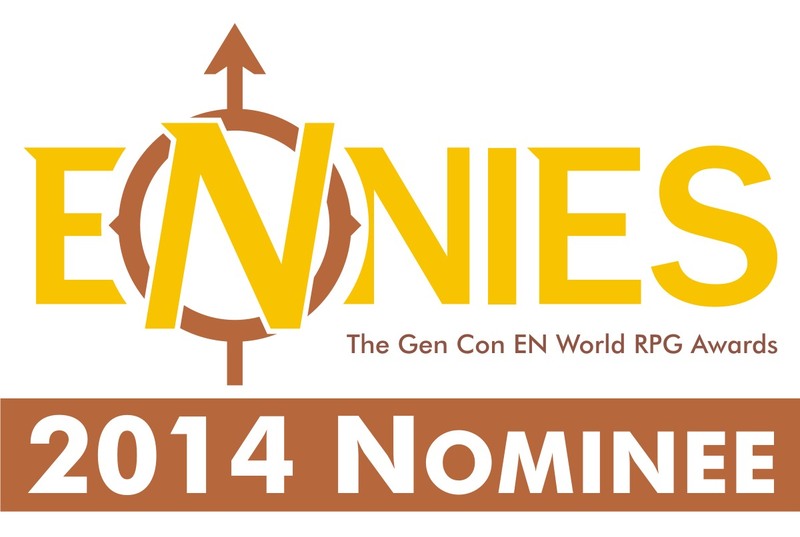 This details five races for PCs; Giant, Karakon, Oni, Orc and Steppegoblin. Also covered are Corporeal Mediums. 228 Pages. This is a hefty tome. It covers India and it's place not just in the British Empire, but in the Victorian world. We get the requiste lands, geography, people and relgion of India in 1867, but also some discussion on the various religions. Like all religions in Victoriana this is through the lens of the world. So license was taken with some of these. Obviously this was not meant to offend Hindus any more than the Core book was meant to offend Catholics or Anglicans. So keep in mind these are the religions of a game world, not the real world. Some new races are included including some new and changed Beastmen. There are new magics, spells, monsters and plenty of NPCs to populate this huge country. Enough detail here to make you want to run nothing but India-based Victoriana games for a long time. I know I want to do exactly that! Great for Victoriana and at least 2/5ths of it is also great for any other Victorian game as well. I am continuing my week-long deep dive of the Victorious game and I thought I'd go back to some familiar territory for me. Though to be fair, the game did give me this idea. There are a couple of things about Victorious right from the start. First, the ability to port in other classes from other SEIGE Engine games, like Castles & Crusades. Second, the in-game plot element that there are some characters there from the 21st Century. So what if I DID decide to bring some characters? Who should I bring over? No real question really. While I was working on this post the question of Savage World's Rippers was also brought up. So why not try something with that too. So here is my premise. Sometime in 2006 (not 2016) Willow and Tara are ripped out of their time back to London of the 1890s. Let's just say 1896. Digging through some old games....ah yes, they were at a museum in London and they saw a daguerreotype picture of themselves in Victorian period dress with another woman. Maybe something like this. Willow and Tara flanking the Slayer of Victorian Age, Tara LaGrange by mqken. The other young woman is Tara LaGrange who is featured as a "Slayer" in the Rippers book. So. Let's try bringing in my two favorite witches using some of the spell casting rules from Castles & Crusades (I'll do something different tomorrow) and see if I can build a Slayer using these rules. 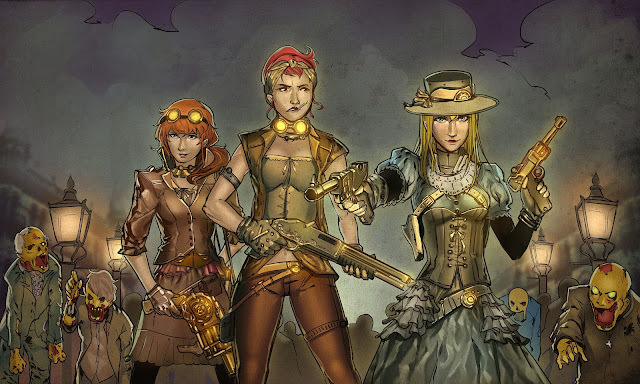 As cool as those guns are and as tempted I am to really turn the Steampunk elements up to 11 on this, I also want to do a simple spellcaster conversion first. I have a few things I need to consider. 1. Are spells Vancian in nature? I think I am going to say yes with the option that certain low-level spells can be cast more than once. 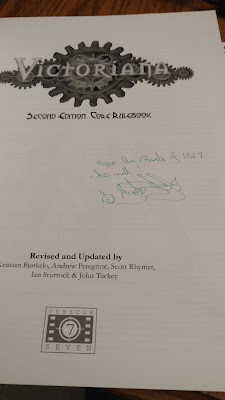 A signature spell so to speak. 2. 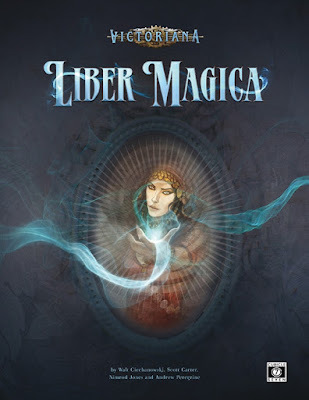 Can spellcasters mix in magickal powers? Again yes, but I am going to limit it to just what they get for their CHA bonus +1. For spellcasters, they take the "Spellcaster Power" every other level. This gives them access to the next level of spells. So Spellcaster as levels 1, 3, 5, 7, 9, 11, 13, 15, and 17 for spell levels Cantrips and 1, 2, 3, 4, 5, 6, 7, 8, and 9 respectively. This gives them roughly half of the free Power Points of other characters. So these remainder points can be allocated as needed. Typically I would see a spellcaster at first level taking Spellcasting, Blast (Magick) and Psycho-Kinesis. The 1 point shortcoming is that the spells must be studied in a book of rituals. I like both of these. They are right out of C&C, but I feel they could go toe-to-toe with the big bads of Victorious. I also think they compare favorably to their Amazing Adventures counterparts. Now on to The Slayer. Tara LaGrange appears in the Savage Worlds Rippers universe. I converted her to Unisystem as both a normal girl and as an honest-to-goodness Vampire Slayer. If I stick with 1896 then Miss LaGrange will be 21. Powers marked with ** are part of the Slayer Package. I might need to tweak it a bit more, but for Miss LaGrange here I think it will work rather nicely. I am now thinking I want to run a game with these three! Maybe do that vampire game I have been thinking about for a while now. Victorious isn't just the core rulebook and some vague notions of inter-game compatibility. There are a number of supplements already out for the game that you can grab right now. 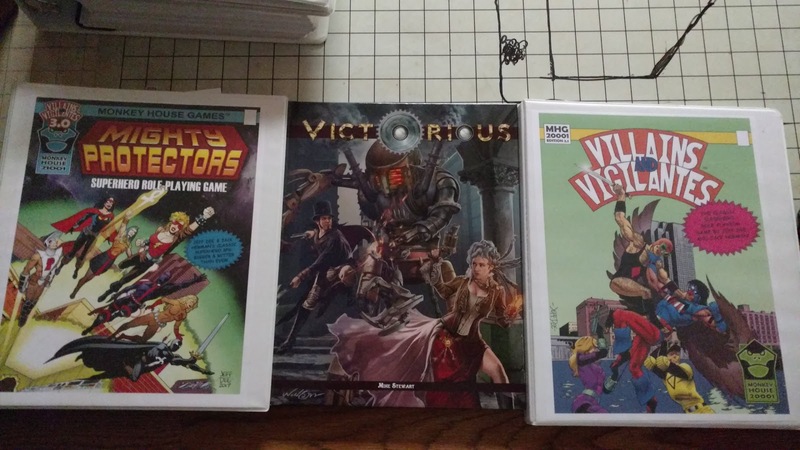 More Disclaimers: I bought all of these, Troll Lords did not supply any of these PDFs. This is a 24-page adventure from core book author Mike Stewart. Now this is something fun. It is an introductory adventure for 4-8 characters of 1st-3rd level. 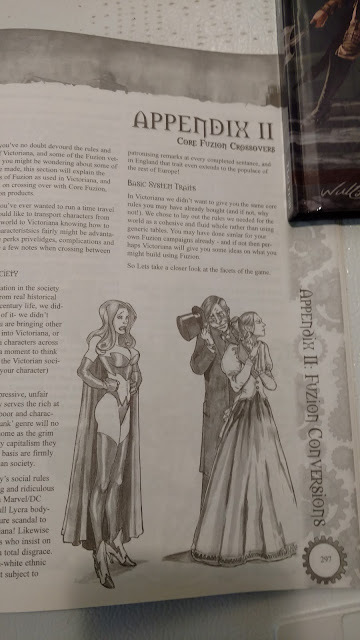 Ok, the DriveThruRPG page says 2-4, but the book says 1-3. It follows directly from the adventure in the core book, Hyde and Seek, and involves none other than Professor James Moriarty. I don't want to give too many details away, but if you are a fan of the Robert Downey Jr. Sherlock Holmes movies and the League of Extraordinary Gentlemen, then this will be a fun romp. 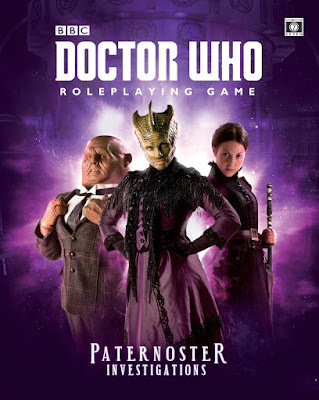 A bit of a nitpick, the DriveThruRPG text is a bit misleading. 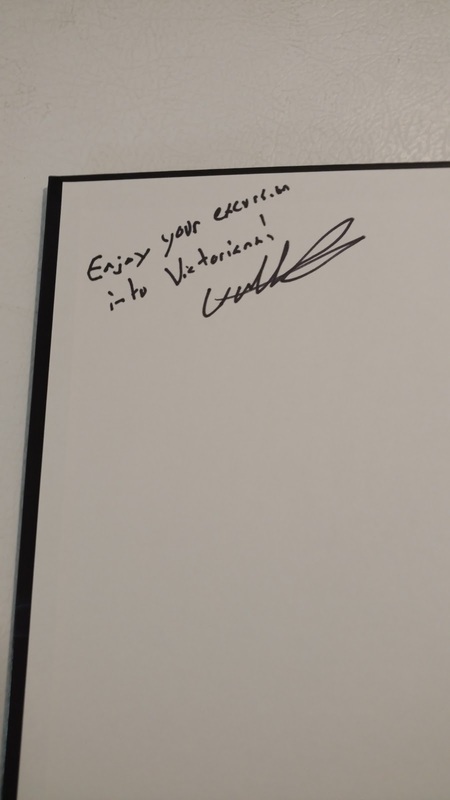 It looks like bits of it were copy-pasted from the Victorious RPG Core page. This is just the adventure. This is a 36-page supplement from Mike Stewart. This supplement details a number of NPC, both good (9 total) and vile (12 total). They can be used as allies, villains, or even as Player Characters. 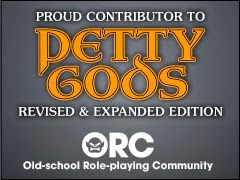 Not as interesting as the NPCs from the Core book, but then again how could they be! Couple of nitpicks here, some the characters are described as having children, though the ages of the kids and the heroes don't always work. For example one heroine, Spellbinder is described as being in her late 20s and having a 12 year old son. She is also described as having a Ph.D. Having a kid at 18 and then continuing to get a Ph.D. THEN getting sucked into the past? It is DAMN hard to work on a Ph.D. when you have kids. I know; so does the author of the book. So it struck me as odd. Make her "late 30s" or better yet "mid 40s". I know the core book talks about the slow aging effects of supermankind, so say she is in her 40s but looks younger. Also detailed is the secret organization "Sceptre"; used to fight the enemies of Queen and Country. A prison, Darkmore Prison, is given as a place to lock up all these bad guys you catch. This is a 44-page supplement from Mike Stewart. Now this is a fun one! Meant to be reminiscent of the old mail order catalogs of the time, this book takes its name from two of the premiere heroic NPCs of the core book. The book is full of fantastical and mundane items characters can buy, find or engineer themselves. And it is a full book. Vital statistics are given including any bonuses it provides or damage it does (or can take) and the equally important availability (%) and price in British Pounds and American Dollars. This is also a good book for any Victorian era game with a Steam-Punk lean to it. It makes a nice companion piece to Cubicle 7's Victoriana - Faulkner's Millinery and Miscellanea. My only complaint here is Troll Lords really missed out on the chance to make this look like a Vicotrian era catalog, complete with vintage art. I know they were trying to maintain trade dress with the line and readability, but it would have been a lot of fun. Buy this if you REALLY want to know how much the Nautalis would run you in Pounds Sterling. These are "Guide" books for Great Britain and America respectively. Both come with the same city maps of London and New York in PDFs. 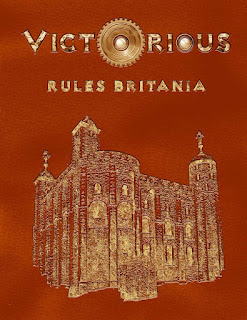 Rules Britania details Great Britain in the time of Victoria and her world-wide empire. The city of London is also covered in some detail. ifest Destiny does the same for America and New York. 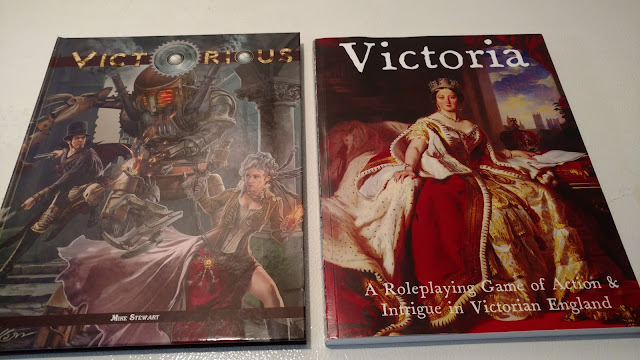 Both books are really pretty system neutral with a lot of background information that is great for any Victorian-era game. Manifest Destiny edges out Rules Britania since America is often ignored in many Victorian games. Granted England is ignored in many Civil War and Western games too. One of the features I really enjoyed about Manifest Destiny were the inclusion of the New York gangs. Amber Benson once told me that all great Victorian horror stories need to begin with a murder. Gaslight is no exception. Now there are few things about this movie. First, this is the original British production from 1940, not the "remake" from America in 1944. In truth, they are both remakes of the stage play. 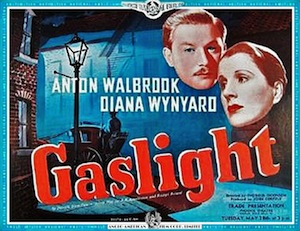 Second, this movie is the origin (or maybe the American one is) of the term "Gaslighting"; or making someone (in particular a woman) think they are insane by manipulating the environment around them. Upfront you can tell that is an adaption of a play. Not that this a bad thing, but there is a certain level of melodrama that comes from a stage play that you can see here. The film is Noir even if the story is straight out of gothic literature. It makes for a great late-Victorian, early-Edwardian piece. I am calling it horror because there are some fairly horrific implications of this movie. Paul is quite a monster in this, to be honest. I kept wanting him to die a horrible death. His ending is very delicious. The atmosphere skips between the whimsy I associate with films from the 1940s and the think gothic atmosphere of the story. I saw the 1944 version years and years ago. This one really reminded me of that one.